Last evening Roma and I attended a surprise 70th birthday party at The Dropping Well in Milltown for my Mum's cousin Brendan Byrne. Happy Birthday Brendan! It was great to see so many cousins from my Mum's side of the family - the Byrnes. I had a great time talking to her cousins Madeline and Eileen about my grandparents and family history. Madeline gave me some photos for my Mum - I made copies and want to share some here. The first photo is reproduced from a much smaller brownish style photo that a graphics artist has touched up. 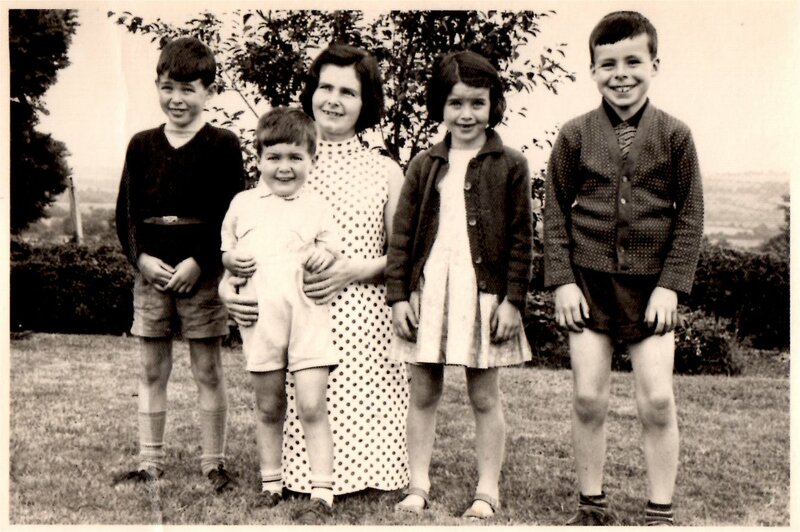 It features my Mum Phil as a very young girl - that's her at the bottom right. I'm guessing she is about 2 years of age which would out this photo taken in about 1936. 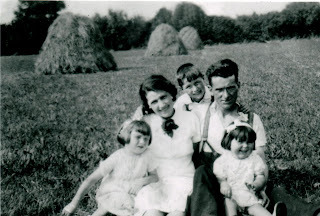 I'm told that the photo was taken in a field near Hazelhatch on the Kildare-Dublin county border where the family lived at the time. The man behind Mum is her Dad - Paddy Byrne, and the lady to his right is his sister Eileen. The other girl is Mum's cousin Madeline (mentioned above), and the boy is her brother Seán. 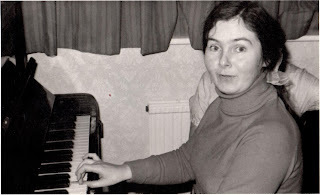 This next picture is one of my Mum Phil which I have never seen before - it looks like she is playing scales on the piano! Even though she encouraged all of us to play the piano (and forced us to take lessons - lots of them! ), she never learned herself beyond the basics. I don't know where this photo was taken, though as it came from Madeline I'm guessing it is late 1960s. Doesn't she look well! Finally - this last photo is one I have seen many times before as it was in our family album for many years. There's no doubt that this was taken about 1968/1969. 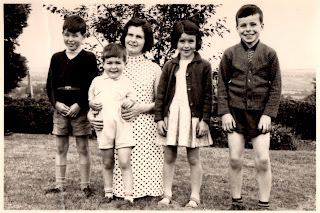 From left: my brothers Joe and Brian, my Mum, my sister Kayo, and me. With a cardigan and short trousers, I am clearly making an early fashion statement. Thank goodness I later got braces to fix those teeth! Photos like these are rare and precious, and I learn a lot from them. In addition to bringing back fond memories, I am fascinated that photos such as the one above with my Mum as a young girl with her Dad are now posted in a blog over 75 years after it was taken. Nowadays digital photos are much more of an almost daily commodity, with millions being posted on the Internet every day. I have this photo of your family in my collection also (passed down from my mum Margaret Brett nee Breen)!! Think it may have been taken when we visited the farm way back in the 60's when I had a crush on Joseph :-) Have lovely memories of Carnew!! 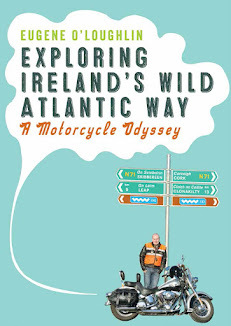 Hi Lillian - many thanks for your comment (I must tell Joe he had a fan in the 1960s! ).